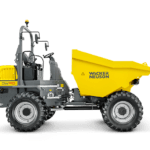 9 Ton Dumpers are the largest dumpers that we do, able to carry 4700 litres heaped and with full 4x4 drive and massive off road tyres these machines can go virtually anywhere. Transporting vast amounts of materials or waste. Travelling legally on the road network. Travelling over muddy and undulating terrain thanks to the hydrostatic 4x4 drive system and oscillating front and rear design. Partnering with a 5 Ton Mini Digger or 8 Ton Mini Digger. Our 9 ton dumpers come with amber beacons as standard and are also fitted with green seat belt indicator beacons. 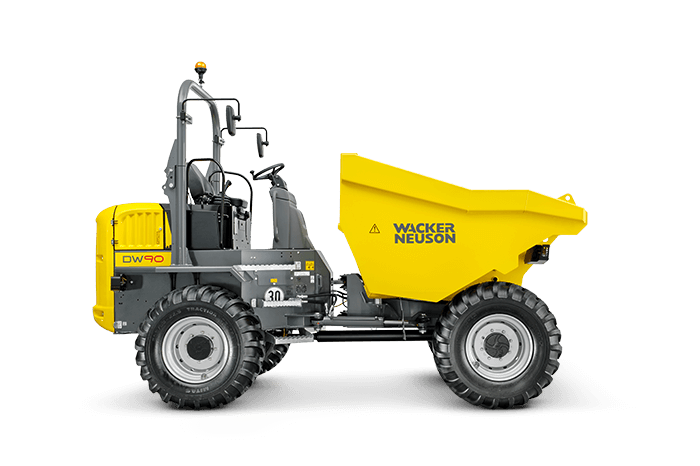 Wacker Neuson are brand leading dumpers with excellent rugged 4x4 systems and loads of power for moving heavy loads. All come with fold down roll bars to enable access to low ceiling environments and all have fully automatic hydrostatic clutches with many utilising the power shuttle gearbox lever. All of our dumpers come with amber beacons and also green seat belt beacons which indicate when a seatbelt is being worn. Please let us know if you require a dumper with a green beacon. 5 Ton and 8 Ton Diggers are a perfect partner to our 6 Ton Dumpers. 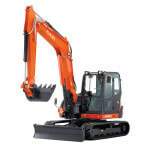 Load the Dumper with a Kubota Mini Digger and make things quicker and easier. 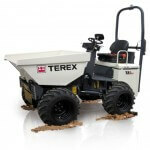 High Lift Dumpers are great for loading skips or vehicles with waste material. Able to carry approximately a ton of spoil or waste with a width of 114cm and able to tip at a height of 1.85m they are a perfect partner machine for a 1.5 Ton Mini Digger and make moving materials and waste much easier. All of our 3 ton dumpers come with fold down roll over frames, amber beacons and also green beacons that indicate that the seat belt is being worn.